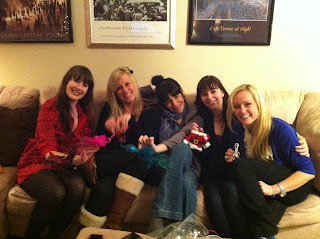 Before the holidays, I attempted to make "Adult" frosties for a girls ornament exchange party. 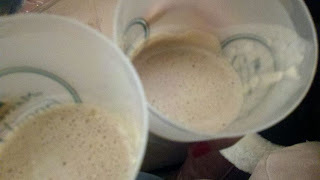 Frosties, as in those icey chocolate malt concoctions from a certain fast-food chain. I was introduced the "adult" frosty at a recent Dinner In The Dark by my friend Chef Chris Hodgson of Dim and Den Sum / Hodge Podge food trucks (and soon-to-open restaurant downtown!) He was kind enough to give me a ballpark recipe so here's what I came up with. The girls ornament exchange, post adult frosty time. Check my rad bird with a tail feather ornament! If making cocktails isn't on your to-do list, head to AMP 150 in Cleveland for their new cocktail menu. 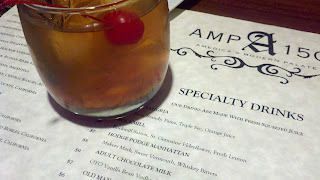 I stopped by AMP 150 a few weeks back and sampled a few new cocktails (and of course, snacked on some food.) Jeff Jarrett, "new" chef (he's been at AMP 150 since June '11) has massaged the food menu into his own, adding new items, including a pheasant dish which is a MUST. Read Cleveland Magazine's story on Jeff and AMP150 from the January 2012 issue. 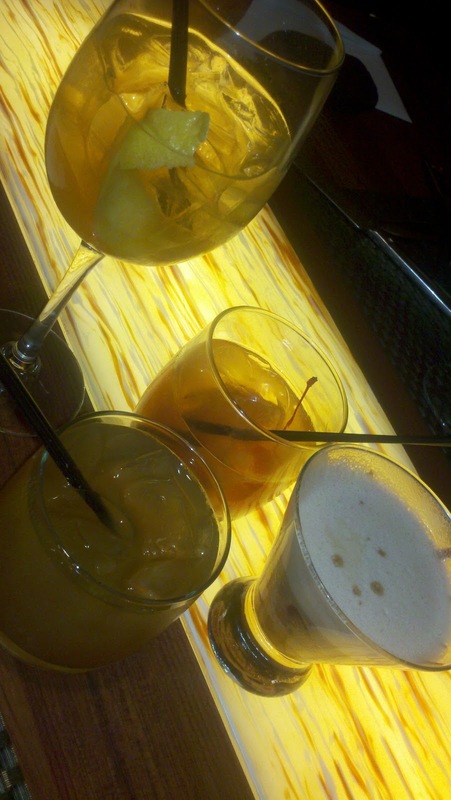 Back to the spirit of cocktails. Nate took care of me and helped me navigate the menu. Yep, it's named after THAT Hodge Podge food truck, and owner Chef Chris Hodgson, mentioned above. The Hodge Podge food truck made it to the final two on Food Network's Great Food Truck Race. 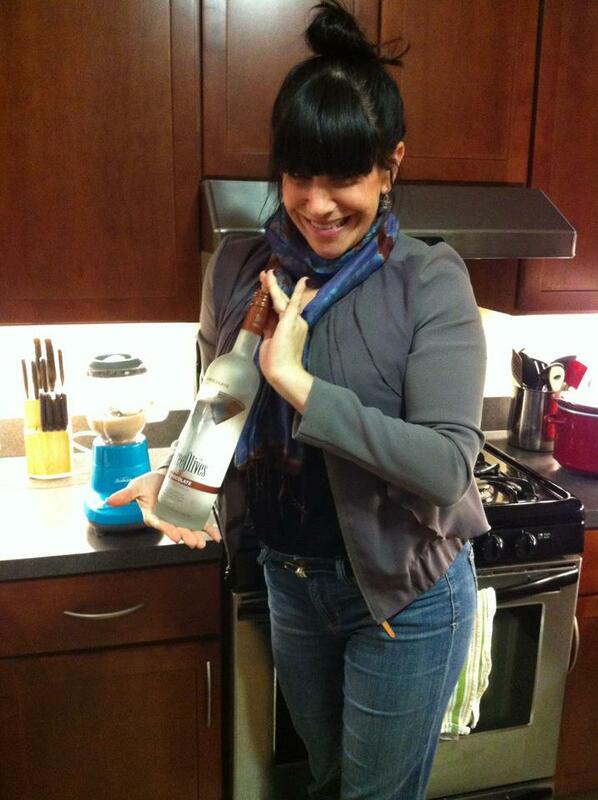 For the record, I am a Manhattan girl. I like bourbon and whiskey. The Hodge Podge Manhattan was one of the most unique manhattans I've ever tried. Honestly, I am still trying to figure out what granular, sugary mixture was at the bottom of the beverage. I took several sips from my straw to taste. New favorite Manhattan cocktail in town. HANDS DOWN. 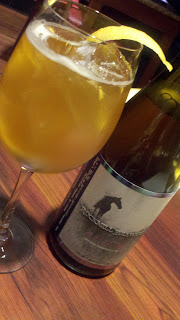 Heard of Rockmill Brewery? If not, you will soon. They're an Ohio belgium-style small batch brewery who have a very special ingredient: water that is nearly identical to the water used in Belgium breweries. If you're not a food and beer nerd like I am, you likely read this and rolled your eyes. But seriously, that's kind of a big deal in craft beer world. 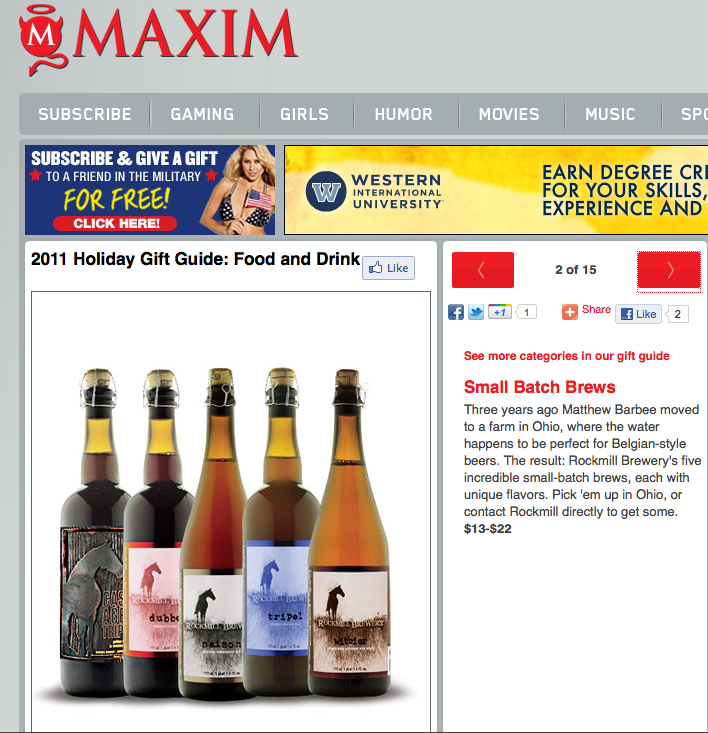 Rockmill Brewery was featured Maxim Magazine's 2011 Holiday Gift Guide and showcased in a Brewmerica video. Escape the blustery cold outside, saddle up to the bar, order one of these and be instantly transported to your patio in flip-flops. 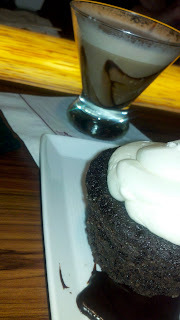 Adult Chocolate Milk with a "Car Bomb" dessert in foreground (Guinness cake and Bailey's chocolate lava center). The above combination gave my mild diabetes for about 20 minutes, but it was worth it. Incredible dessert and this was a great after-dinner drink that should be on the dessert menu. My completely unprofessional opinion: "adult" versions of cocktails will become a trend in the cocktail world in 2012. If they don't, I know how to satisfy my nostalgia armed with my adult frosty recipe and AMP 150 just right down the road. Hey pretty girls. Book time at AMP 150 to chase the winter blues away. I absolutely love the Rockmill! Can you use actual whipped cream instead of Cool Whip in the frosty? Sounds really yummy. Ohhhh, I'm sure you could use real whipped cream. I'm not sure it'd give it that same thicker consistency. If you had a Vita-Mix, leave out the cool whip / whipped cream all together! I thought I would share the complete recipe I created for Chris' course at Dinner in the Dark. 1 tablespoon of Fee Brothers Aztec Bitters (can be found at Minotti’s). Allow ice cream to soften by taking out of freezer 1/2 hour before making drinks.